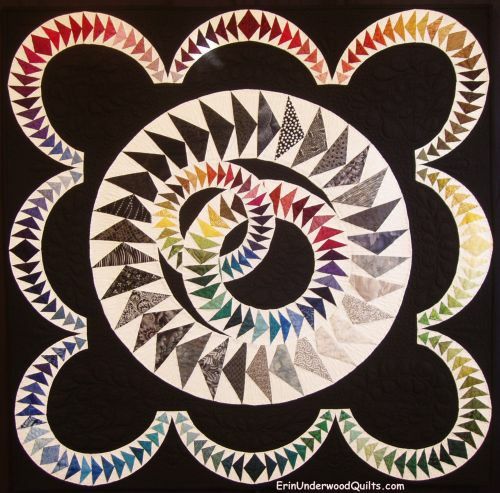 Created for a Challenge To Color or Not to Color with the Mason-Dixon Quilt Professionals Network. The border is adapted from an EQ lesson on curves. The center of the quilt is an original design.